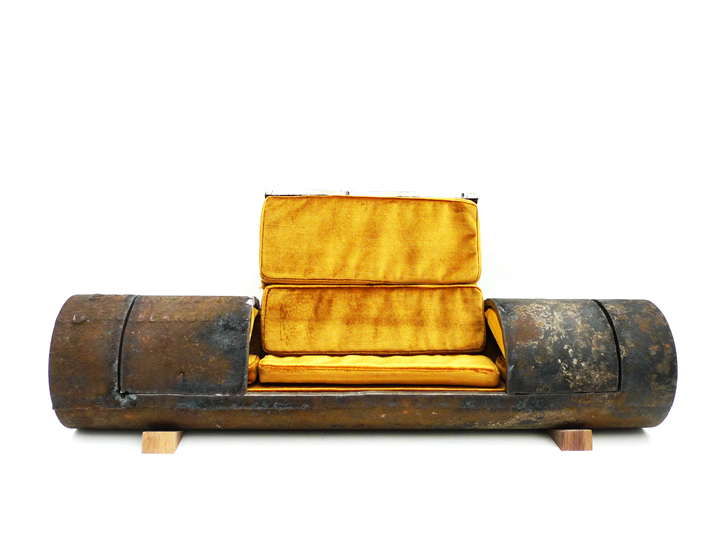 The Cloche Sofa is a body of work that transmutes elements of urban life into objets d’art. 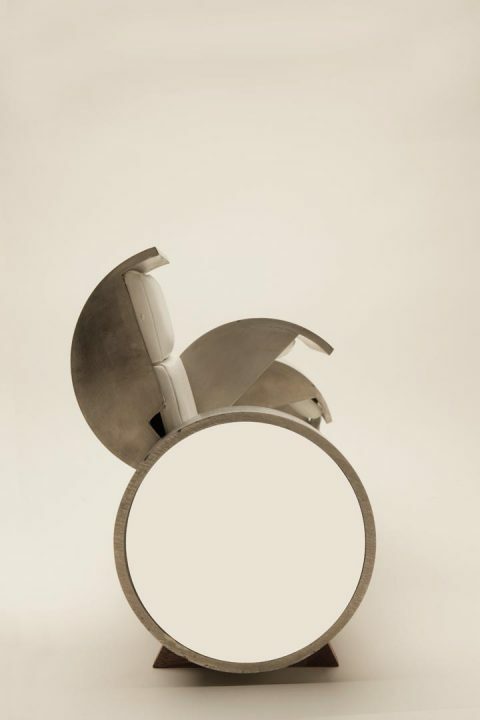 It represents landscape evolution that dismantles established structural standards and elements of construction materials, and repurposes found material into sophisticated designs, reshaping common objects into a meaningful amalgams. 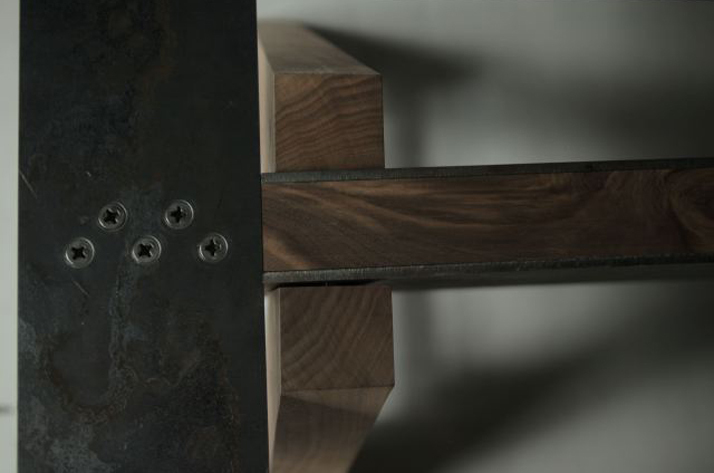 This piece harnesses objects that outlived their original uses, were discarded, reclaimed and renovated. 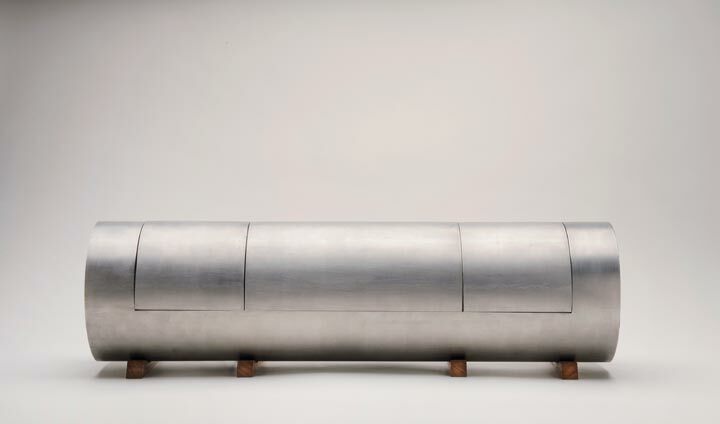 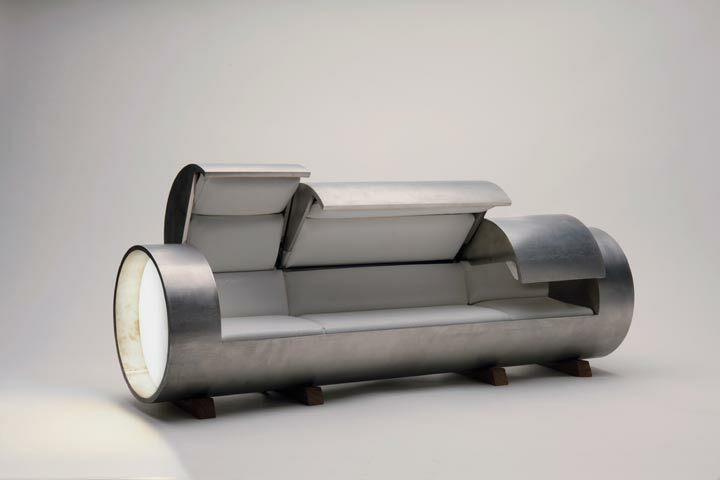 The first prototype of the Cloche Sofa consisted of a New York sewage pipe transformed into an urban sculpture of a fully-functional modular sofa. 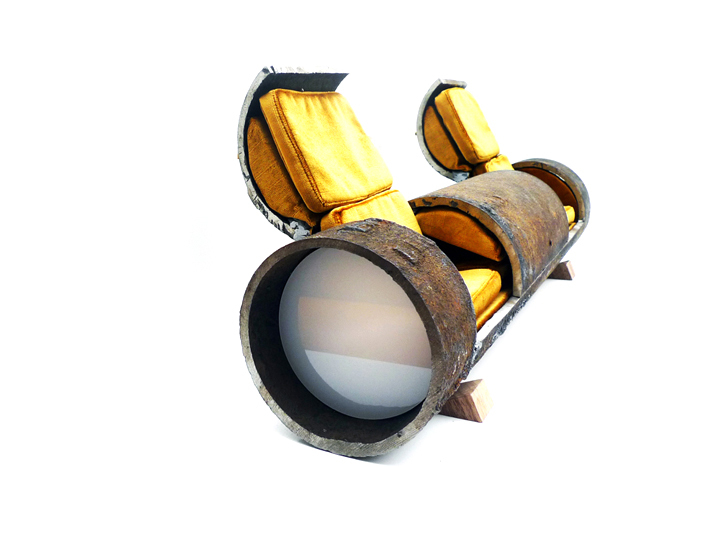 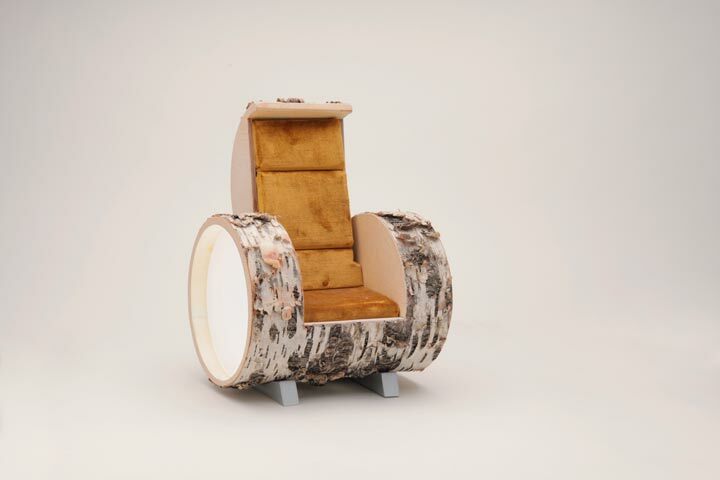 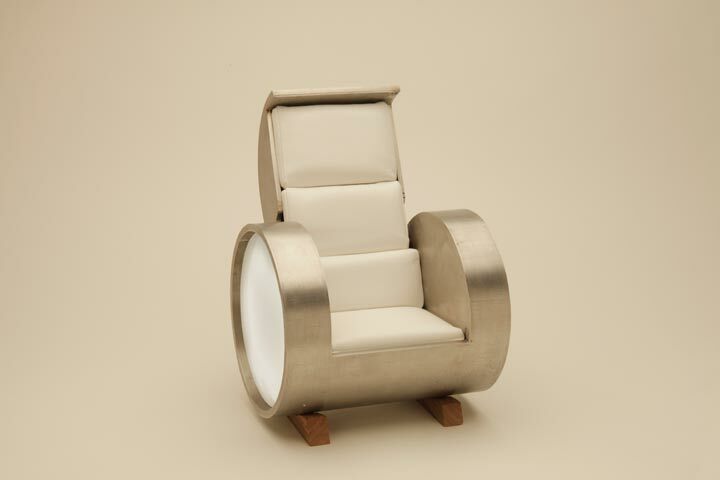 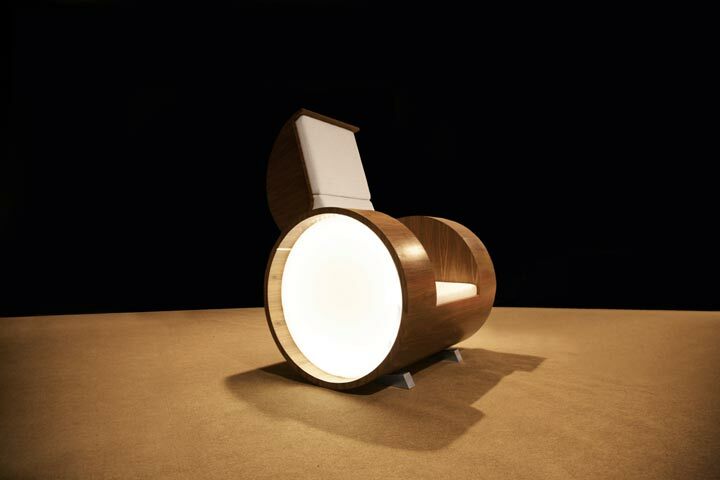 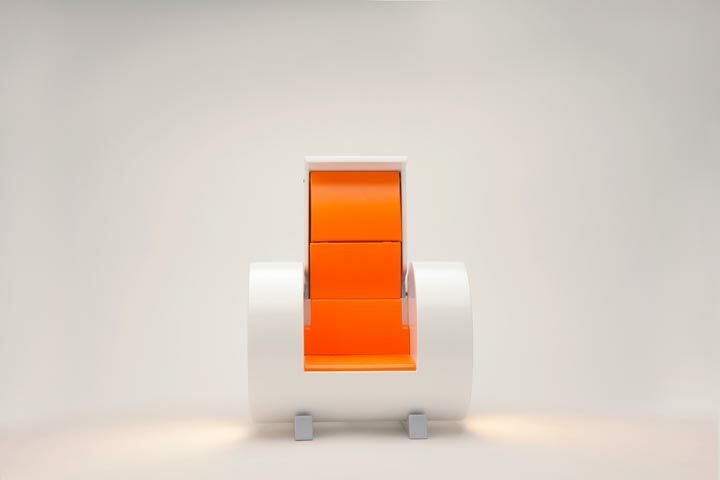 It was made in Copper with Gold Velvet seats, Plexiglas on the sides of the tube illuminated by an LED light. 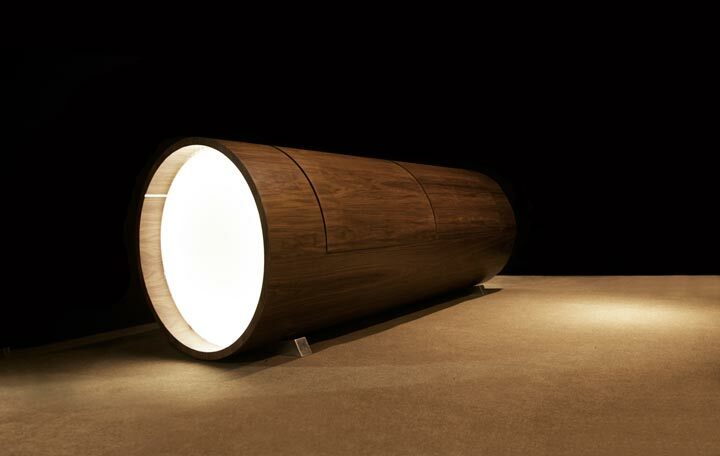 The tube shape was accented by LED side panels and conic base. 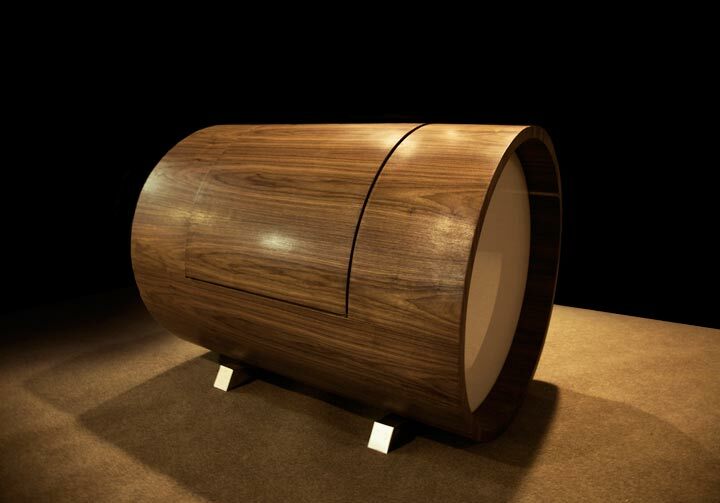 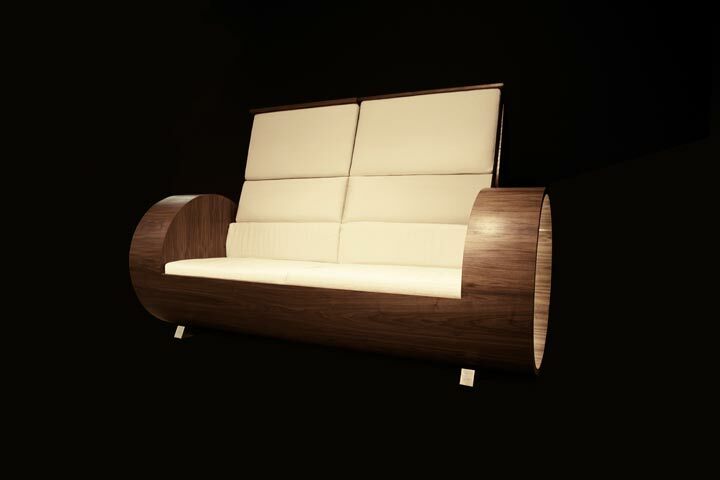 The second creation of the Cloche sofa was life-sized and made out of Walnut in a sofa and armchair configuration. 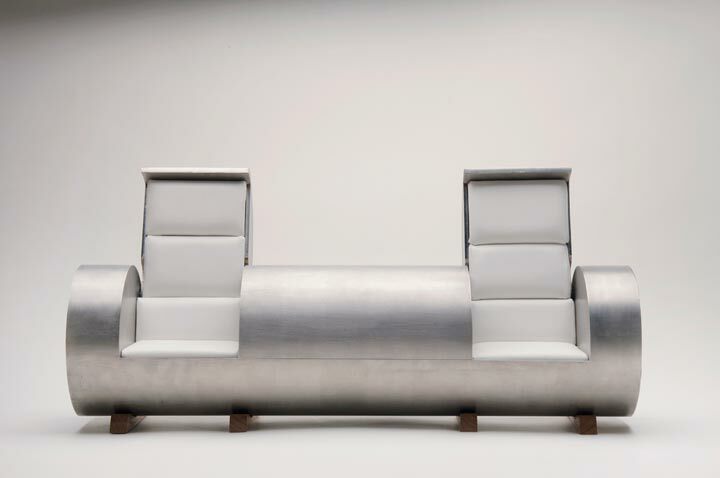 This was followed by a stainless steel prototype, birch prototype and white lacquered finish prototype of an oversized sofa and armchair. 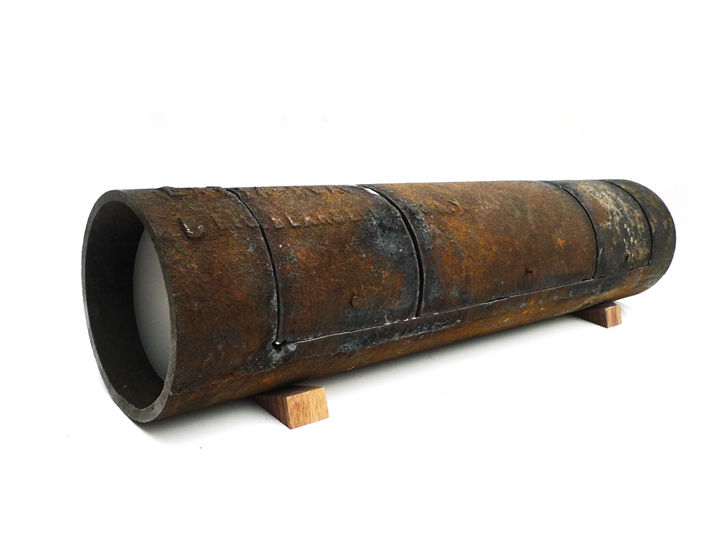 The concrete and PVC pipes are currently in progress. 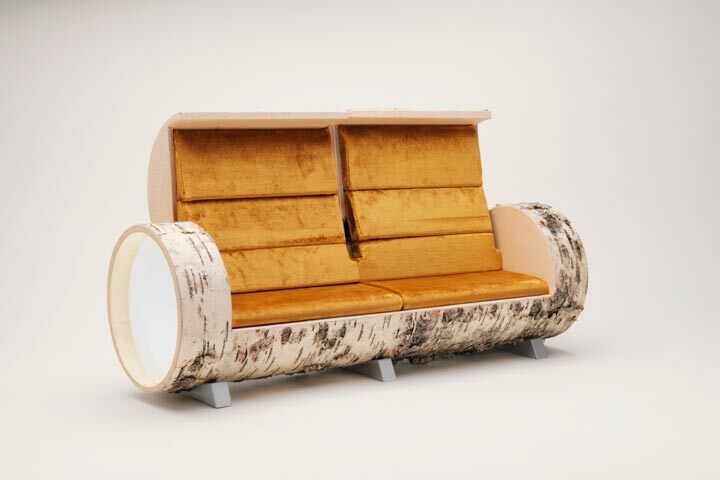 The evolution of this landscape design could be achieved by taking in consideration other materials. 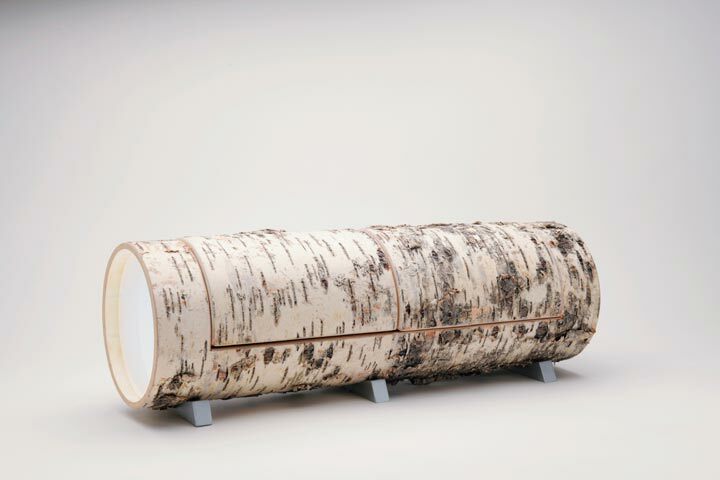 I would like to experiment to create this installation in concrete, marble and birch tree bark, all cylindrical forms present in existing construction materials or natural environment. 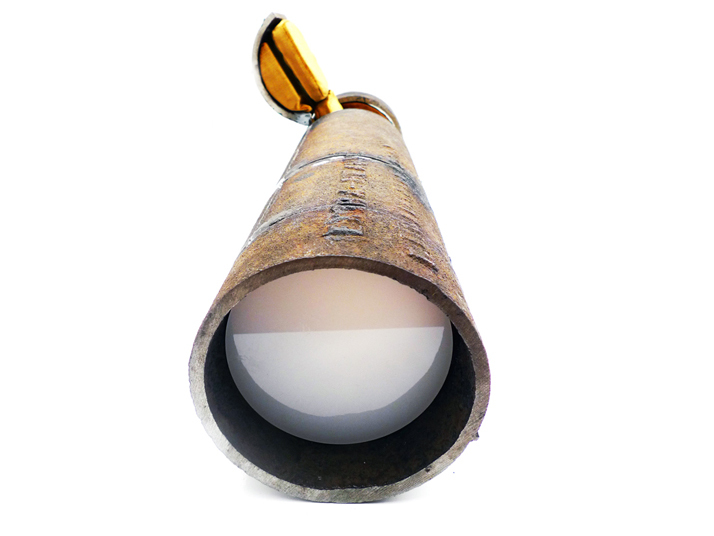 This renders the object’s hybrid functionality almost invisible, unnoticeable at the first glance. 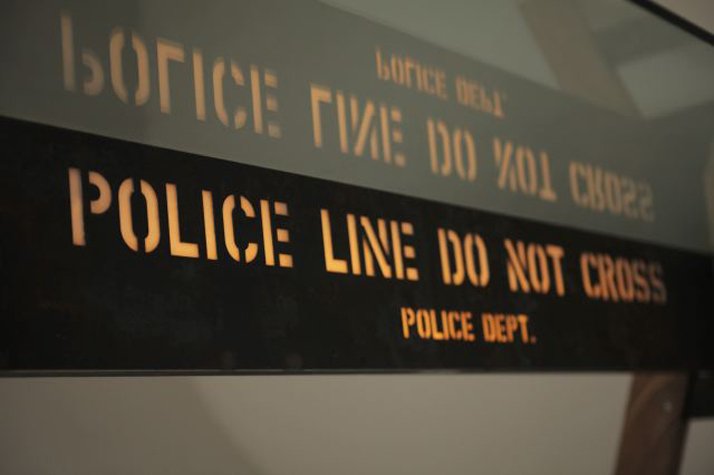 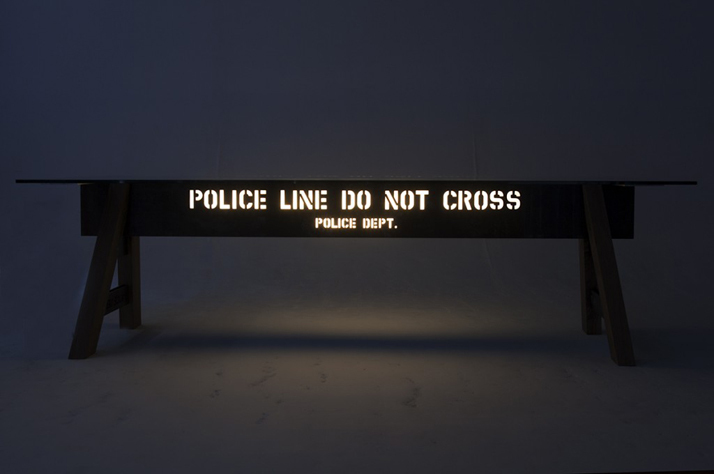 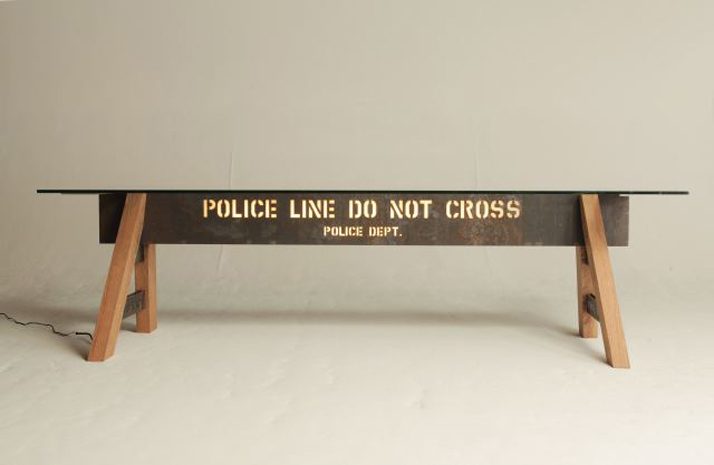 An elegant reinterpretation of the unique New York City Police barrier. 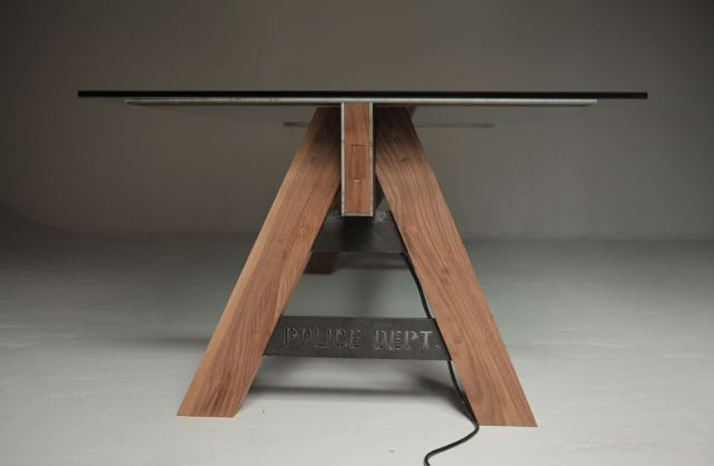 Material: Walnut, Steel, Resin, LED light, additional outlet for personal use.